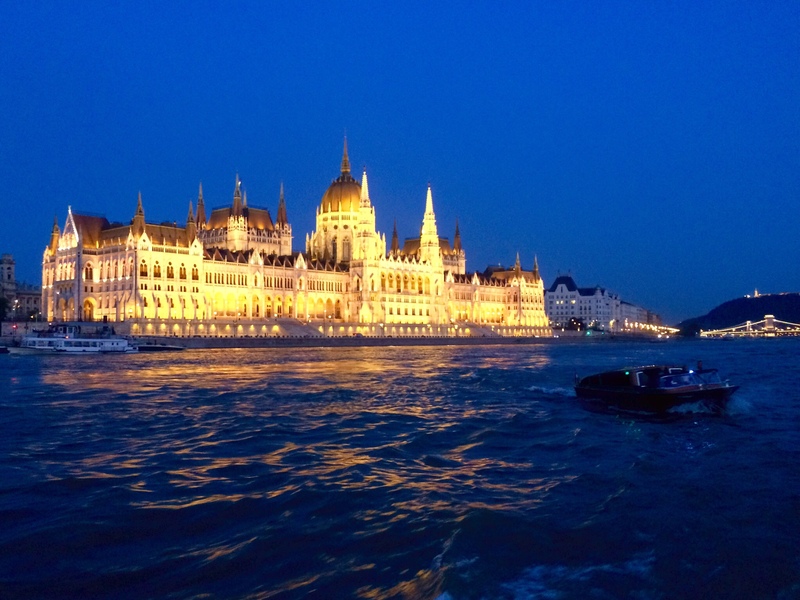 We went for an evening river cruise Tuesday aboard the Danube Legend. 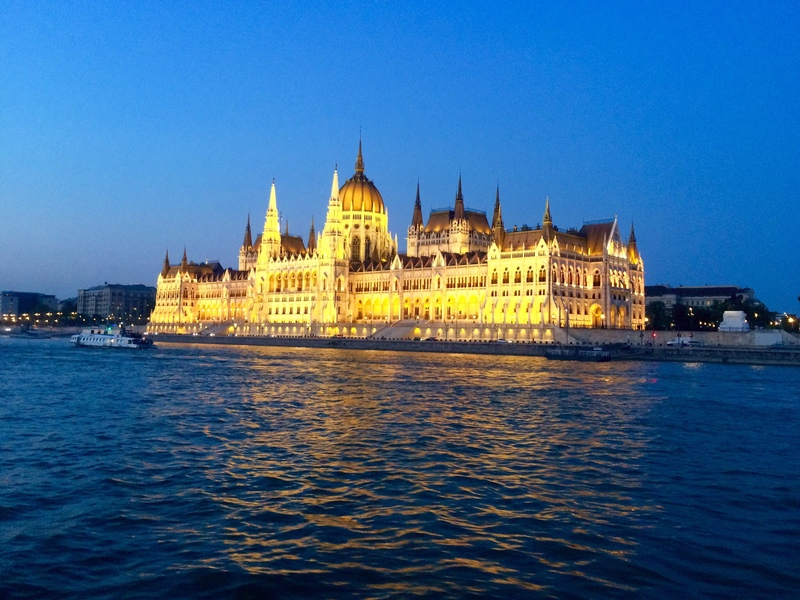 The boat leaves its dock from the Pest side shortly before the Golden Hour, that time just before sunset when the lighting is softer and shadows are longer. It’s the perfect time to take photos. 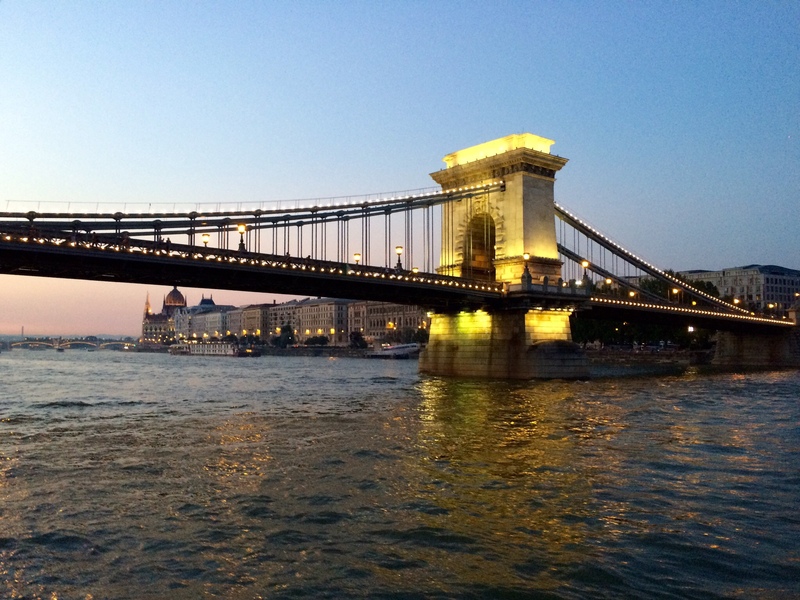 After making a short loop downriver, the boat turned around and headed upriver, passing its berth and then continuing north toward the Chain Bridge, shown below. 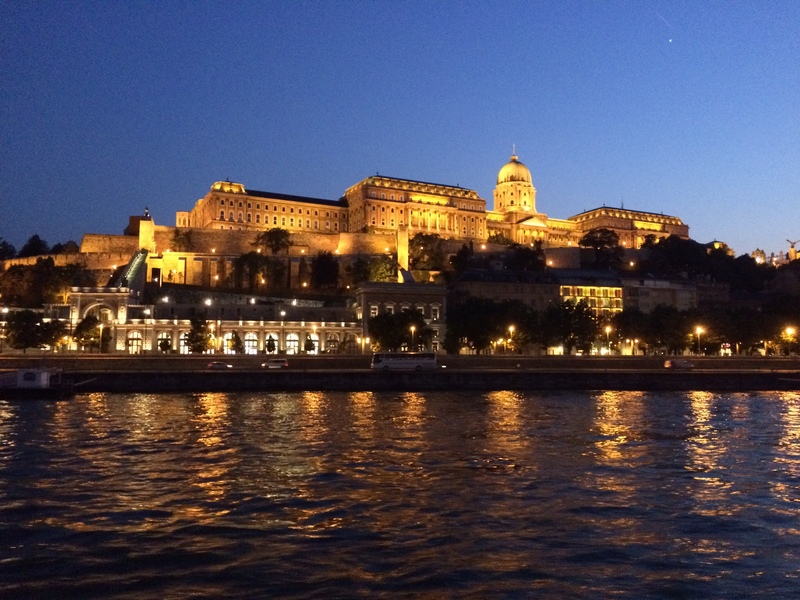 Just past the Chain Bridge, on the Buda side, we passed the Fisherman’s Bastion (up on the hill) and the Református Templom (the Reformed Church) at the river’s edge. 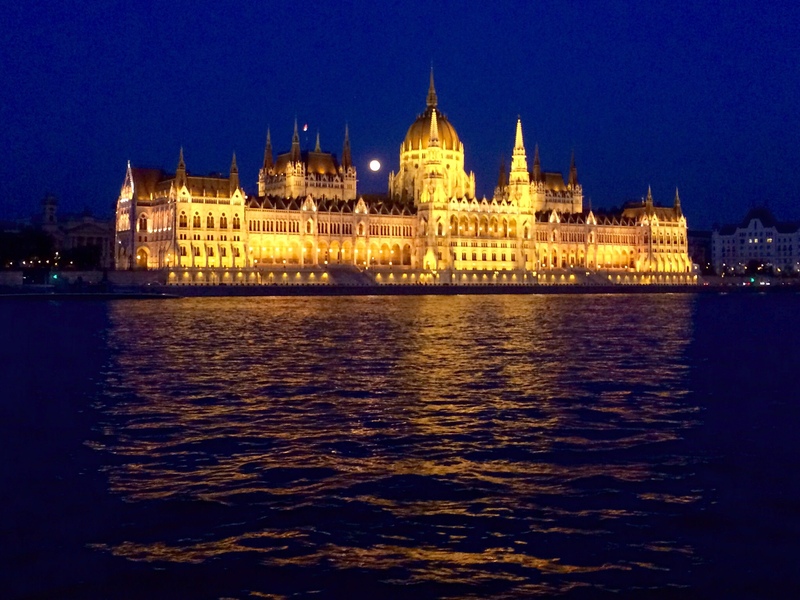 Across the river, on the Pest side, was the Parliament Building, all lit up. We turned around just before the Margaret Bridge (Margit híd). 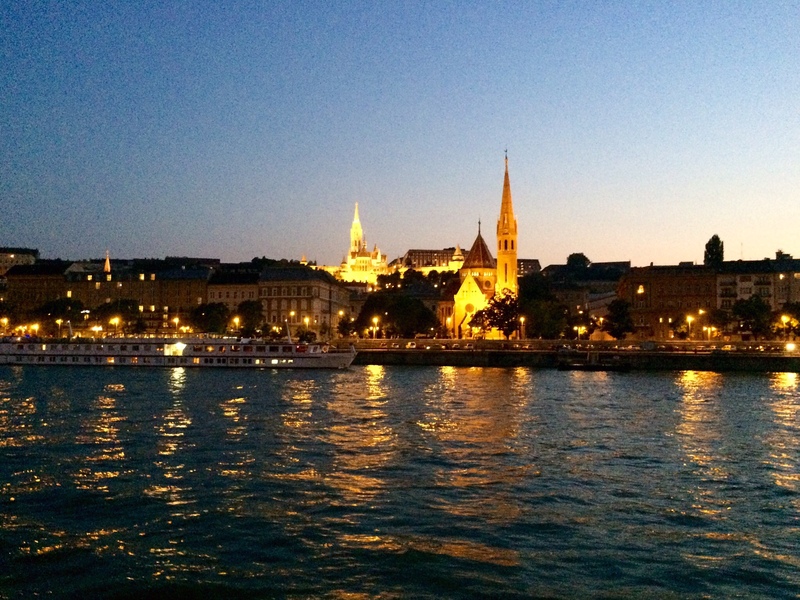 Here’s another photo of the Reformed Church and the Fisherman’s Bastion on the way downriver. And here’s the Prague Castle up on the hill with the Chain Bridge in the foreground. We turned around again at the Elizabeth Bridge in order to dock. 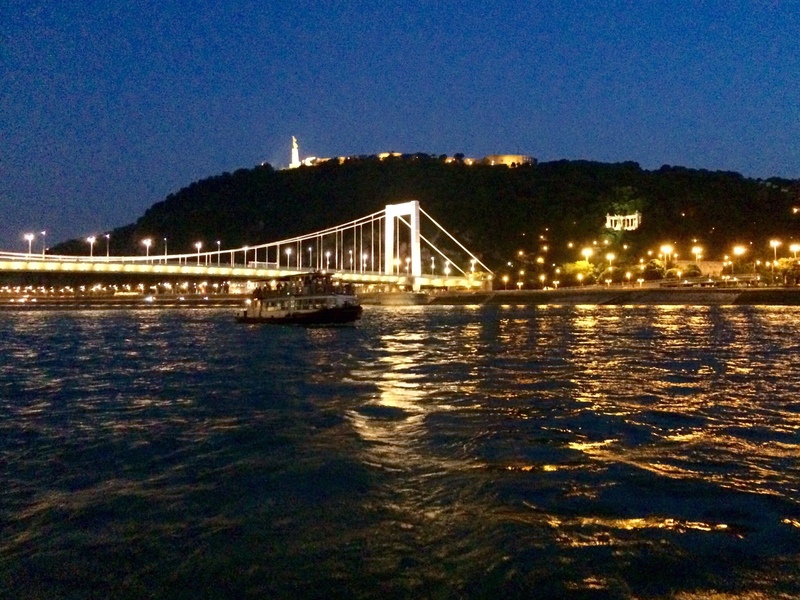 That’s Gellért Hill with the Citadel and the Statue of Liberty all lit up on top. 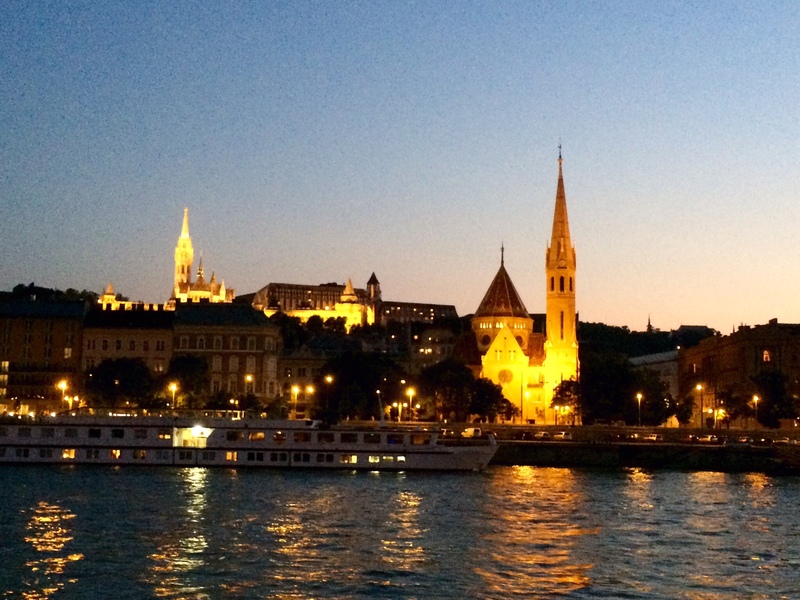 Budapest comes alive at night. 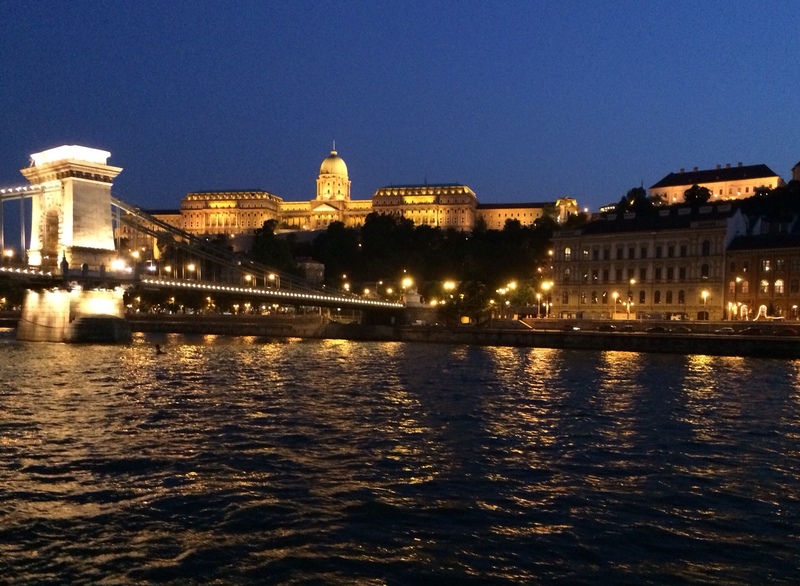 Paris might claim the title, but I think that Budapest can also be called the City of Lights.